If you want to see a huge reduction in your annual energy bills, whilst being environmentally friendly, replacement double glazing is often the way to go. And with uPVC windows you have a material that surpasses aluminium and hardwood, with a number of quality benefits. uPVC double glazing is the most popular window replacement in the UK and is even recommended by most window installers because of its advantages. But what is double glazing? Double glazing is an efficient window unit that will replace your old, inefficient single paned windows. It’ll last for more than 15 years, cutting your energy bills year-in year-out by retaining heat in your home. It works by having two panes of glass separated by an energy efficient spacer, which doesn’t allow heat to pass through. This spacer is normally Argon and fills a gap between 20mm and 28mm. Reduce your heating bills by as much as £300 a year, with superb energy efficiency locking heat in your home. This means you don’t need to turn up the temperature on your boiler to keep warm. Your property instantly becomes more secure and research actually suggests break-ins are prevented as burglars avoid double glazed properties. Double glazing helps put your mind at rest and ensures greater safety. Cut your home’s carbon dioxide emissions, lowering your footprint on the planet. Carbon is one of the key gases responsible for environmental problems such as global warming. And an added benefit with double glazing is that noise pollution is limited, with sound waves unable to pass through that efficient Argon spacer. There are a number of reasons uPVC is the most popular frame material in the double glazing industry for both homeowners and companies. Firstly, it’s far cheaper than hardwood or aluminium. So for those on a budget it’s a life saver. And even with the cheap price, uPVC doesn’t skimp on its quality. It’s an extremely efficient material, reducing your energy bills and is also extremely durable and resistant to weather conditions. It won’t rot or bow like wooden frames and it also can be coloured to match traditional homes. During production it’s created with stabilisers and additives to protect it from the sun’s natural UV rays too. The below information indicates the energy performance of houses in Uk. Energy ratings range from A to G, with A being the most energy-efficient and G being the very least efficient. The Energy Performance Certificate (EPC) rating factors heavily when attempting to sell your property, as prospective buyers will see how much they're most likely to be paying for their heating expenses. 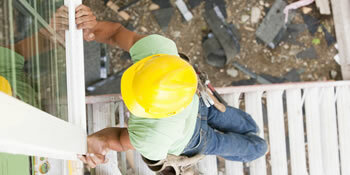 House improvements such as insulation help you to drastically improve a home's EPC rating. There are numerous types of home in the UK and the info beneath illustrates the type of houses in Uk. Over the country the most common housing types tend to be semi-detached and terraced housing, however detached homes, flats and bungalows are also available. The pie chart underneath reveals the portion of houses within Uk which are central heated and non-central heated. Central heating figures in the the greater part of UK properties, such as those on the gas grid and houses heated by oil and electric. The data underneath shows the spread of properties warmed by various fuels. Around the United Kingdom the most frequent by far are gas heated homes, followed by electricity and then oil. Biomass central heating boilers are also increasing in popularity, heated by sustainable products like wood pellets or agricultural waste.|Properties in Britain are heated up by a variety of fuels, which include gas, electricity, oil, solid fuel and LPG boilers. Each fuel has a varying cost associated with it and that means you can find yourself with less expensive energy bills by changing the way your house is heated. Even solar thermal panels are being regarded as by many in order to cut heating bills for the years to come.